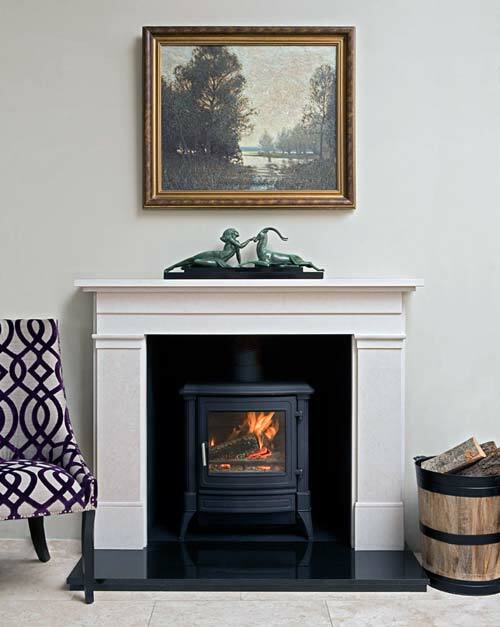 Shown in Limestone with a Stanford 23 Woodburning Stove. Shown in Limestone with a Stanford 23 Wood-burning Stove. The 75/80 is fitted with the Premium Burner as standard, with its life like flame pattern and glowing ambient lighting, as standard.